The Prince of Wales says he will stop speaking out on topics he feels strongly about when he becomes king, as he is “not that stupid”. 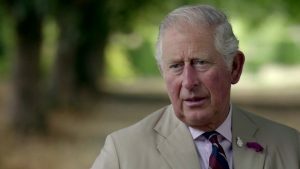 Speaking in a BBC documentary to mark his 70th birthday, Prince Charles said the idea that he would continue making interventions was “nonsense”. He said he would have to operate within “constitutional parameters”. In the hour-long programme, he was asked about what some people have called his “meddling”, but he said he had always tried to remain “non-party political”. He added: “I think it’s vital to remember there’s only room for one sovereign at a time, not two. Asked whether his public campaigning will continue, he said: “No, it won’t. I’m not that stupid. The BBC has been given exclusive access over the last 12 months to film Prince Charles, who turns 70 on 14 November. In the documentary, the Duke of Cambridge said he would like his father to spend more time with his grandchildren – Prince George, Princess Charlotte and Prince Louis. Prince William said “when he’s there, he’s brilliant” but “we need him there as much as possible”. 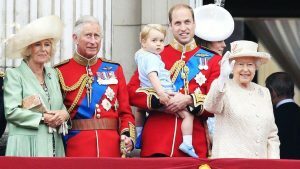 The Prince of Wales has been championing environmental and social issues for many years and the Duchess of Cornwall said he was “pretty impatient” to get things done. She said: “He wants things done by yesterday as I think everybody who works for him will tell you. But that’s how he gets things done, he’s driven by this, this passion inside him to really help.